Canton Roof Repair | Canton Roofing Repair | Canton Home Roof Repair | Canton Home Roofing Repair | Canton Residential Roof RepairMcGlinch & Sons CO.
McGlinch & Sons, Co. is widely recognized as the preeminent residential roofing repair business providing home roof repair services to customers across Metropolitan Detroit and Southern Michigan for almost a century. As a family-owned and operated roof repair company, we are renowned as a leader in the home roofing repair industry for delivering unequaled workmanship. McGlinch & Sons has the experience and know-how to deal with all of your residential roof repair dilemmas expediently and accurately. Regardless of the extent or scale of your roofing repair project, you can anticipate that our certified home roofing repair contractors will not only meet your expectations, but they will most likely exceed them. 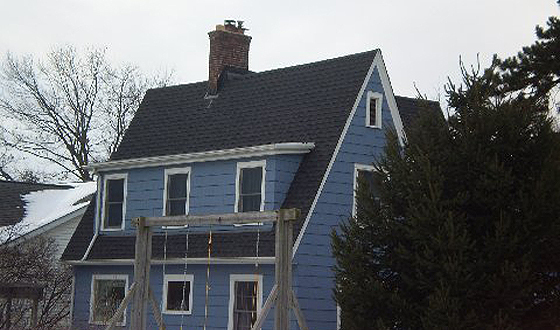 Our home roof repair is definitely as significant to homeowners for its appearance as it is for its resilience. Whenever Canton homeowners are thinking about retaining the best home roof repair experts, the only name they need to know is McGlinch & Sons! Canton, Michigan is a Charter Township in Wayne County, and with more than 76,000 residents, it is one of the fastest growing communities in southeastern Michigan. Since 1917, McGlinch & Sons, Co. has been delivering the superior residential roofing repair services Canton homeowners want at a price they can afford. It is well known that Canton residents consistently choose our exemplary home roofing repair business over our competitors. Further, it is not unusual for Canton customers to be second and third generation customers of McGlinch & Sons. With customer satisfaction as our number one priority, it it makes perfect sense that generations of families have been coming to us for decades. McGlinch & Sons has a deep and unswerving dedication to the age-old virtues of honesty, integrity and reliability. We are also highly respected for completing Canton clients’ roof repair work on time and under budget. Our goal is to not only enhance the exterior appearance of our Canton customers’ homes, but to also ensure that homeowners and their families are protected from damage caused by inclement weather conditions. With our devoted team of professionals, McGlinch & Sons is determined to offer the best roof repair services. Moreover, we have the loftiest work ethics and highest principles in the industry. McGlinch & Sons is celebrated for always focusing on treating our home roof repair customers with the courtesy and decency to which they are entitled, so that ultimately we will be able to add them to our quickly-increasing list of satisfied customers. Our residential roof repair company also provides its customers with a lifetime warranty on all of its shingles and a 25-year non-prorated warranty on all of its labor. As a result, if you have been contemplating home roofing repair work in the not too distant future, call McGlinch & Sons, Co., today, at: (313) 278-2777 West Side; (586) 776-8912 East Side or (248) 987-6300 Oakland for your FREE estimate.